Yes, count me in! I would like to send a contribution to help NOW secure equality and fair treatment for women. Contributions to NOW are not tax deductible because of our grassroots lobbying work. 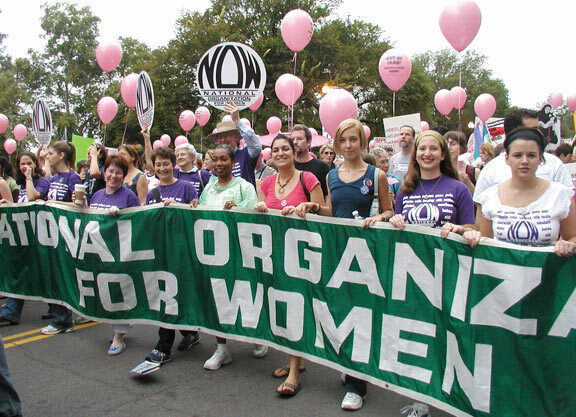 NOW is a non-profit, tax-exempt membership organization working politically and legislatively to advance women's rights. You can also call 202-628-8669 to donate. If you reach voice mail, please dial ext. 112 for assistance. The ZIP code entered above MUST match your billing ZIP code or your payment/donation will not be accepted. © 2014 National Organization for Women. All rights reserved.